Service | North Country Trucks & Parts, Inc.
At North Country we service heavy duty trucks. We specialize in drivelines, clutches, exhaust, and general maintenance to keep your truck moving down the road. At North Country we make it our priority to keep your tractor trailer running safely and efficiently with regular service, repair and maintenance. 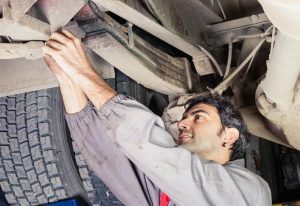 Truck Maintenance is important in keeping your rig running in top condition and lasting long into the future.